"When William Randolph Hearst commissioned San Francisco architect Julia Morgan to build an opulent home for him above central California's coastline on part of the vast Hearst family land holdings, he not only created a castle befitting a "king" of newspaper publishing, he also imported exotic wildlife from all over the world to inhabit the wildlife preserve he created on the property. Hearst's hilltop retreat, Hearst Castle, a weekend getaway for famous Hollywood movie stars and world leaders especially in the 1930's amd 1940's, has always been a favourite stop on our "California itineraries". Traveling up the winding road to the Castle, our travelers can occasionally catch a glimpse of some of the remaining wildlife. Therefore, Snobby Tours® was shocked at the L.A. Times articles reporting that zebras from "the ranch" were being killed as they grazed. They are what is left of what was at one time the world's largest private zoo -- a menagerie of camels, kangaroos, emus and giraffes that roamed the sprawling estate of the newspaper magnate. "Last week three zebras -- a buck, a mare and a yearling -- escaped from the 128-square mile ranch and wandered down California Highway 46. "On Wednesday two of them turned up in a pasture on David Fiscalini's cattle ranch, where, he told the San Luis Obispo Tribune, they spooked his horses. "So he raised his shotgun and killed them. The same day, another rancher shot the third zebra at a ranch nearby. "Many people in rural communities believe a rancher has a right to defend his livestock against intruders -- no matter how rare the animals are. But Fiscalini's actions the next day raised eyebrows. On Thursday he called a local taxidermist and asked him to come out to the ranch. He said he needed someone to skin the zebra and tan the hide so he could make a rug.
" 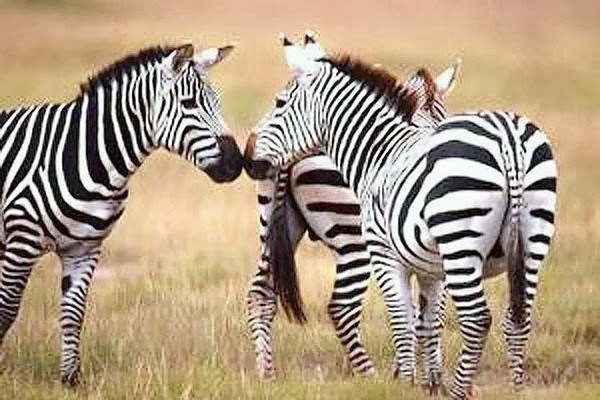 'You can't believe the controversy,' said Rosemary Anderson, whose husband is the taxidermist that handled the zebras. "They are also, she said, loved by visitors. "Each year about 1 million people visit Hearst Castle, which has been maintained as a state historic park since the family donated it to the state several years after Hearst died in 1951. "The Hearst Corp. still owns the 128-square-mile ranch that surrounds the castle. It was once home to more than 300 animals but most were sold off in the 1930s, said William Randolph Hearst's great-grandson, Stephen Hearst. But some sheep, deer and 65 zebras continue to graze there, he said. He was shocked to learn about the killings. "Hearst said the zebras rarely venture outside the fence that surrounds the Hearst Ranch, 'but from time to time they do, and neighbors give us a call and we retrieve them'." "Fiscalini, who was out branding Wednesday and could not be reached for comment." It seems to Snobby Tours® that since Hearst Ranch's wildlife -- especially the beloved zebras -- have been on the Ranch for decades -- and continue to enchant visitors to Hearst Castle, including our own tour groups -- that perhaps this situation could have been handled differently and in the "kinder, gentler" way in which the wandering zebras have been retrieved in the past according to Stephen Hearst. Hi, Connie. Thank you for your comment. This makes us sad, too. Like your guests, our travelers love seeing the wildlife along the hills of the Ranch. 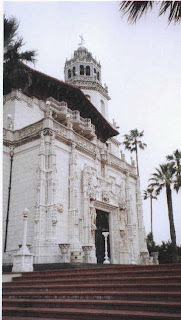 It's part of the "magic" of visiting Hearst Castle. "...this rancher felt that was he taking care of his property and getting rid of a predator." A rancher thinks a herbivore is a predator? I don't think so. Ranchers can be ornery. Especially with neighboring corporations. The best fences make the best neighbors. Then I can enjoy Hearst castle again.